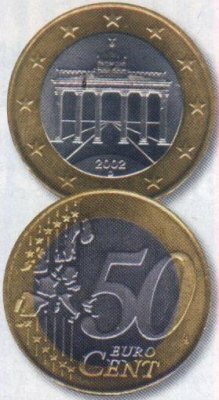 50 Euro cent struck on wrong blank. Image from Martin Peeters. 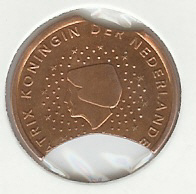 1 Cent 2002 with Off Center Double Struck Coins. The nice image is provided by Sebastian R.
The planchet is feed into the coinage press and rest inside the collar on the anvil die (Reverse die). After being struck, the anvil die moves upward, raising the coin. 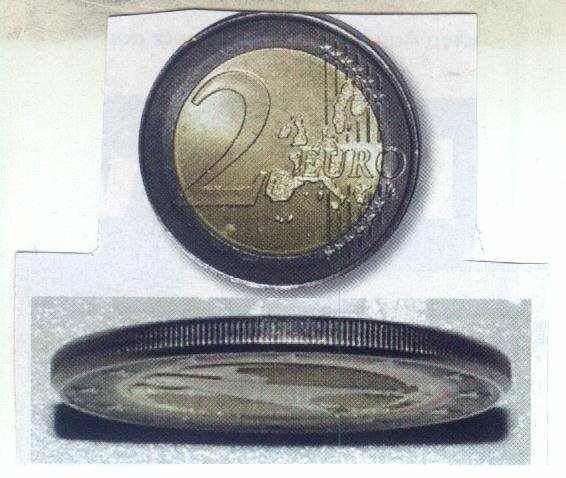 Now the coin is suppose to exit the coinage press and go to a collecting area.